Patiently awaiting my bridegroom to arrive! His family arrived in a caravan carrying gifts for my family as an offering in asking for my hand in marriage. 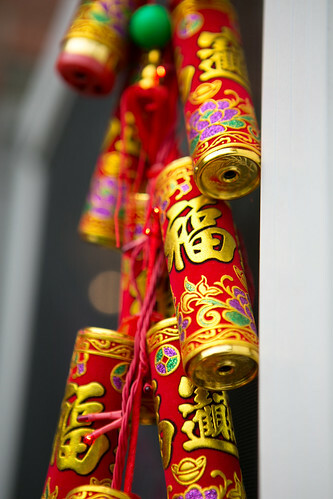 Traditional gifts are carried by family members in even numbers stored in red tin baskets with a red cloth covering. The groom’s parents leads the party to my front door, and speaks first with my parents who welcome them inside. 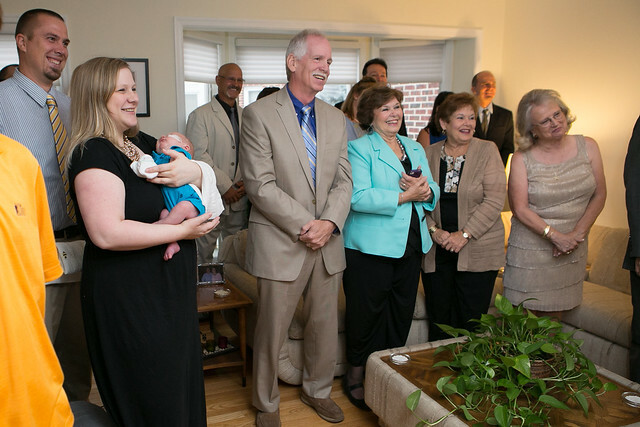 The groom’s party includes immediate family and family members who are more senior than him – so aunts and uncles. Once inside, the groom’s father addresses the bride’s family and states their intentions. The gifts are placed on a table that initially separates our families. My family thoroughly enjoyed the ceremony and were touched and amused by Ba’s (Dad’s) by his kind words. 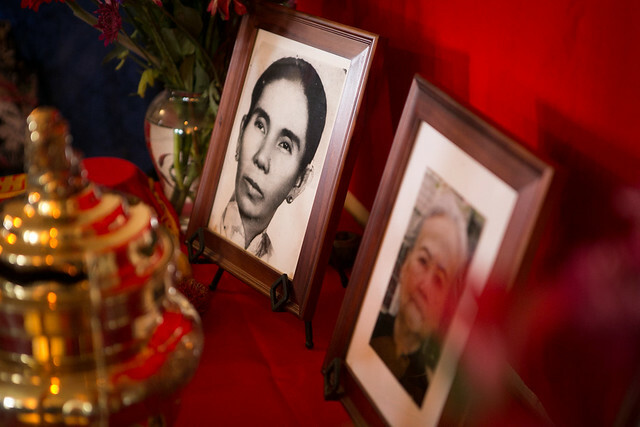 The family members are organized by seniority, which reflects the hierarchy and respect of elders in Vietnamese culture. 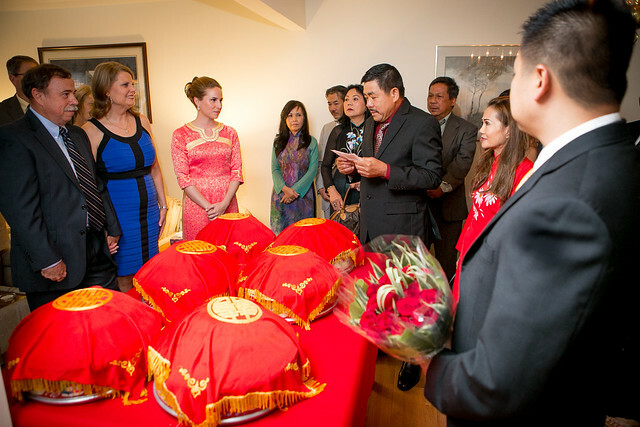 After the formal introductions were made, his family unwraps the gifts to present formally to my parents. Traditional gifts include meat, fruit, tobacco and wine, so the trays were filled with dried fruit and nuts, cheese and meat spread, cigars and whiskey. Ba was certainly the director of ceremonies and made sure that everything was unwrapped and presented in the appropriate order. After the formal discussion and official promising of our future marriage, our families got to know each other over mimosas and coffee. We went outside to get a few portraits before it was on to the next phase of the ceremony. 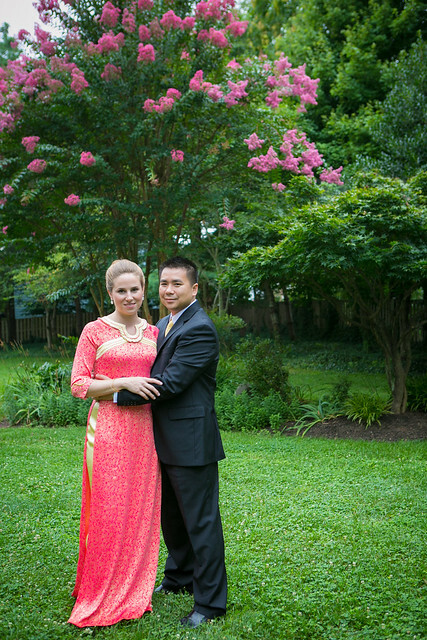 I absolutely loved my ao dai (long dress). 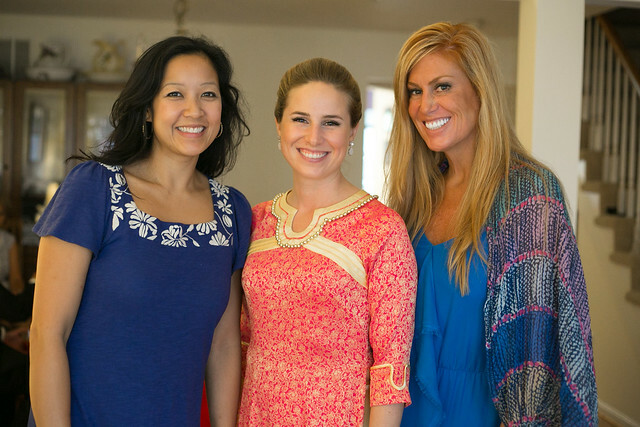 Mẹ (mom) and my sister-in-law had it made in Vietnam after I picked out a design from a popular ao dai retailer in Saigon. 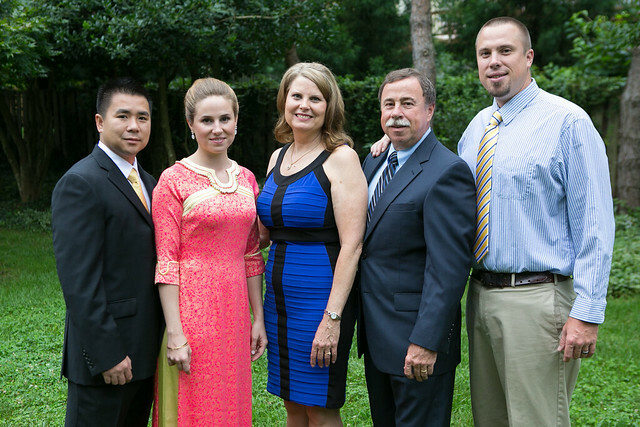 Our amazing parents, without whom none of this would be possible. Thankfully my brother was home for the dam hoi after my nephew arriving early and needing a little extra attention. So happy that he was able to share in our special day! My bridal party was also able to enjoy the ceremony. Around 11am we left my family’s home and attempted to caravan to his parent’s home where more family gathered. There were a few misdirections so the cars were split and we had some down time. Just enough to say hello to arriving family and friends, as well as capture the worship table and other ceremony details. 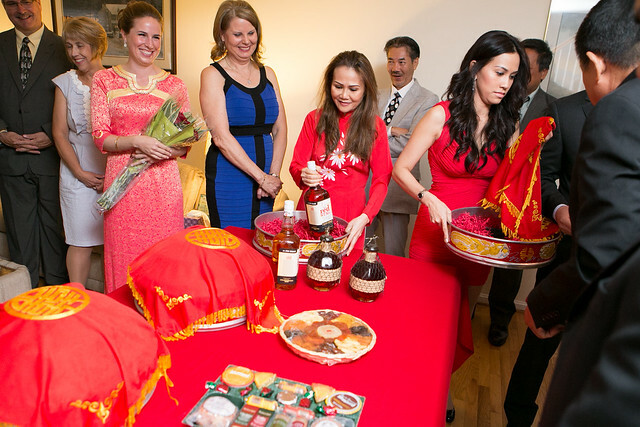 Trăm Năm Hạnh Phúc is a blessing for the couple wishing them “One Hundred Years of Happiness”, and the dragon and phoenix represent the male and the female. 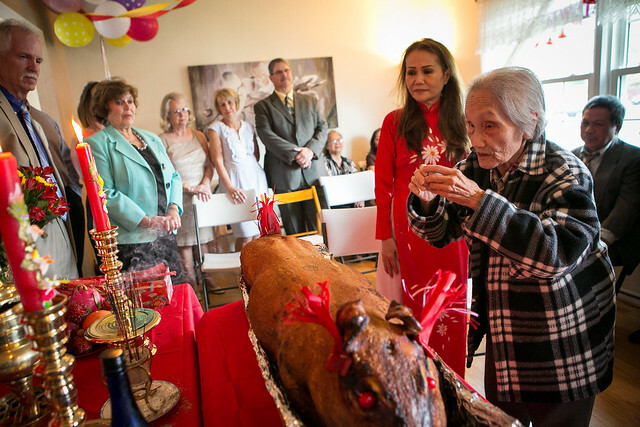 The whole roast pig is the most important item offered for the couple’s engagement, and it is placed at the worship table where we honor groom’s grandparent’s and those who are no longer living. Fireworks were lit as I lined up with my (now official) fiancee and family to ward off any negative energy or bad words said about us as a couple up to start our relationship on positive ground. At this point we began the most traditional, spiritual and personal part of the engagement ceremony. 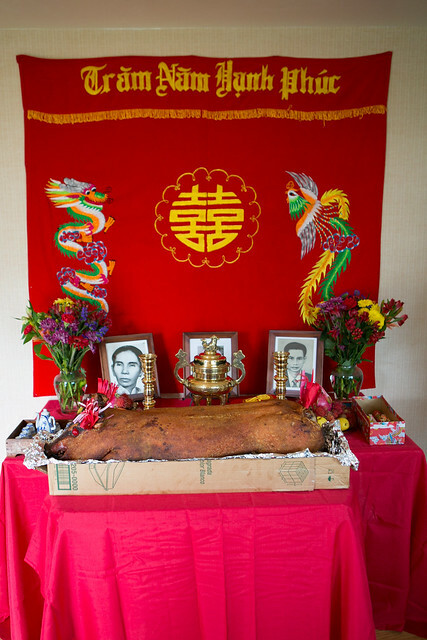 After explaining the traditions, his parents lit the Dragon and Phoenix candles symbolizing the male and female that burned throughout the ceremony. 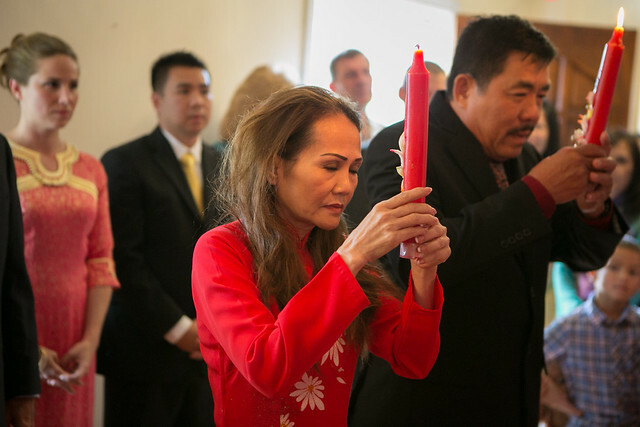 They then lit incense and bowed before their parents in prayer and to seek blessings. 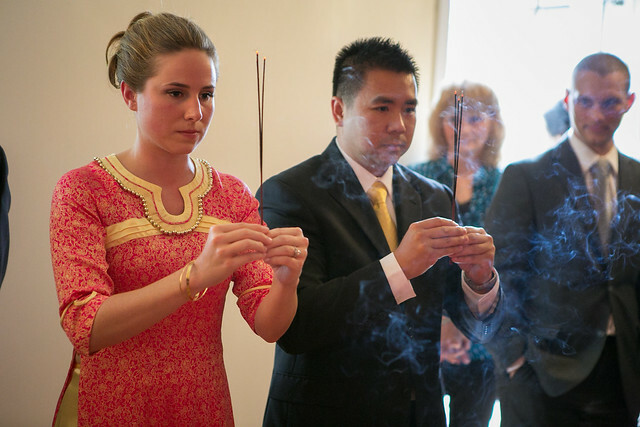 We were then invited to light incense from the Dragon and Phoenix candles and bow before the table, asking for blessings from his ancestors as we begin our life together. It was a very moving moment in the ceremony and was an honor to acknowledge his family in such a spiritual manner. Now here is where the ceremony took a lighthearted turn. His father held up two boxes and explained that as they were not equal in size, nor are women and men equal in their culture, “And that’s OK”. You just have to know his father to laugh at this – it was amusing to say the least. He proceeded to explain that he got us both a “souvenir to remember the day”, and placed a necklace around each of our necks. We will never understand why he gave us gold Mardi Gras beads with a dollar sign on the end. At least it matched my dress! 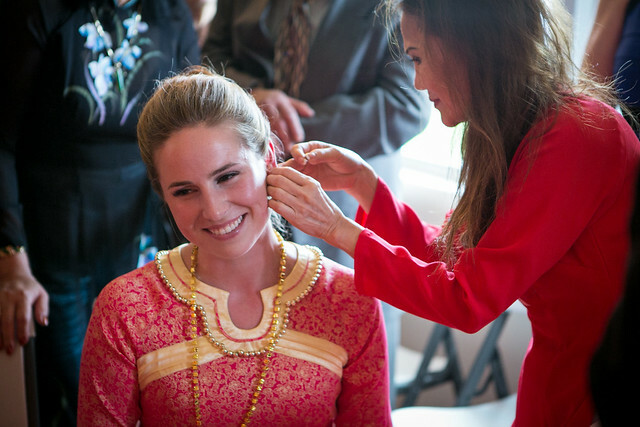 The real tradition is for the groom’s parents to give the bride a gift of jewelry. They gave me gorgeous diamond earrings to match my engagement ring – an extremely generous gift that I will forever cherish. 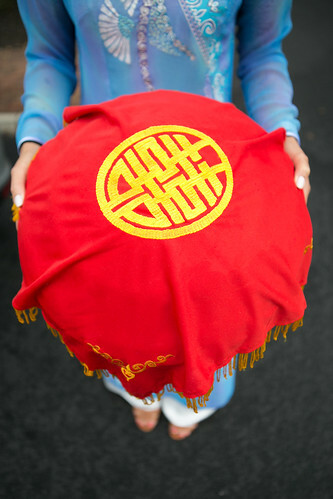 With gifts given, it was time for us to give our thanks and receive blessings or words of wisdom from our elders. 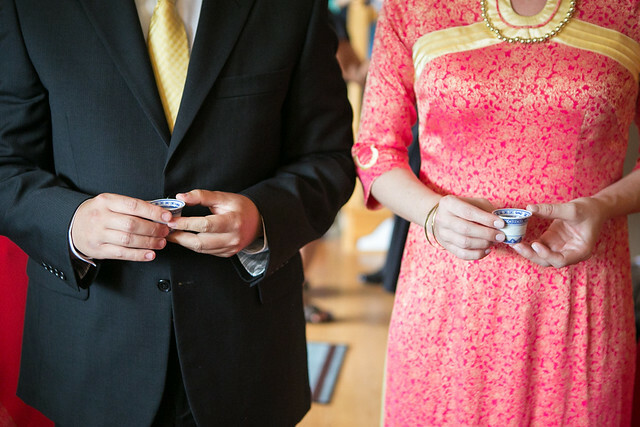 For each individual or couple, we offered a drink of sake and gave our thanks for what they have meant in our lives and listened as they shared advice or blessings for our future together. Each moment was so special, there are too many to include in this blog, so here a few special images. One of the most moving moments in the ceremony came from an elderly guest who I had never met. 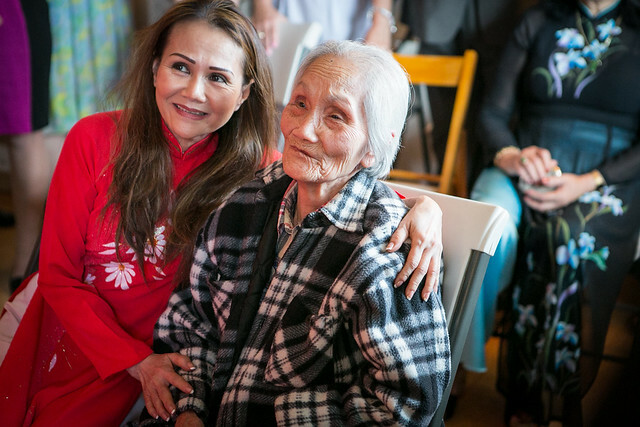 She was Thuan’s grandmother’s best friend, and he spent quite a bit of time with the women growing up. Before she took the sake, she stood up and explained that she not only came to offer us her blessings, but also to catch up and speak with her best friend, long since passed away. As she stood speaking to her best friend and bowing before the alter, there wasn’t a dry eye in the room – it was amazing to see a bond forged many years ago and the honor she showed to her friend on our special day. 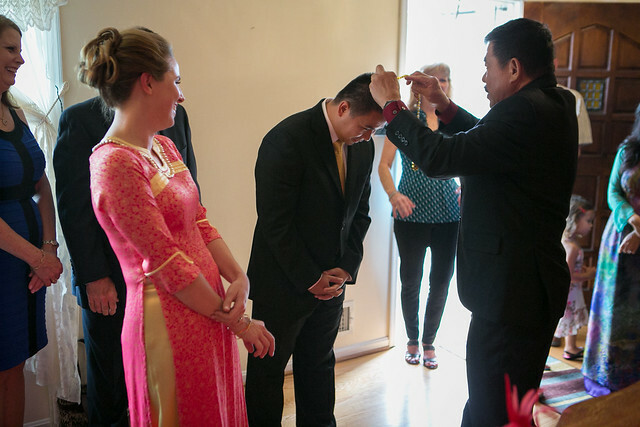 As we moved through the elder family members, his cousin’s mother in law gave us a traditional Cambodian wedding gift, binding us together with a necklace. 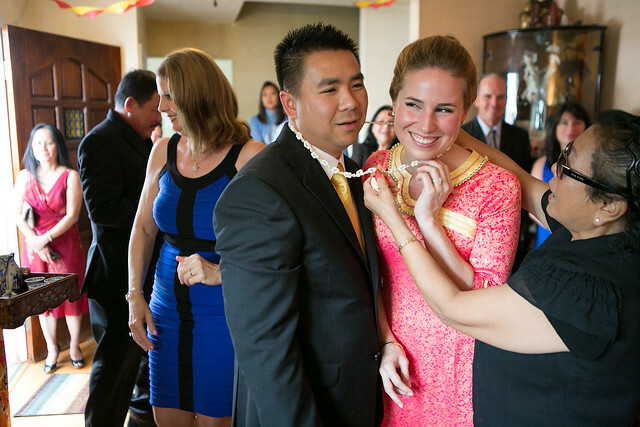 We had no idea what was going on at first, but after squeezing through the necklace, we were tied together with blessings for our future marriage. Hopefully I got all of that right, there was a lot going on! We offered many more thanks and received many blessings and advice from both sides of the family, which we will take forward to enrich our new life together. After the ceremony was complete, it was time to eat, drink and be (very) merry! We had an amazing spread from local restaurant Sampan Cafe with everything from fish to roast pork to shumai to calamari and mixed vegetables and more dishes that were amazing, but I can’t even remember. 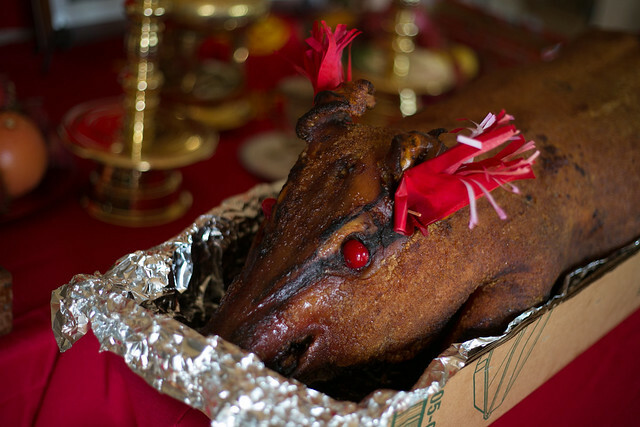 And remember the whole roast pig? He made his curtain call on the buffet line, as well. Thanks for sticking around for the entire dam hoi ceremony via photos – I’d love to hear about your own experience in the comments below! 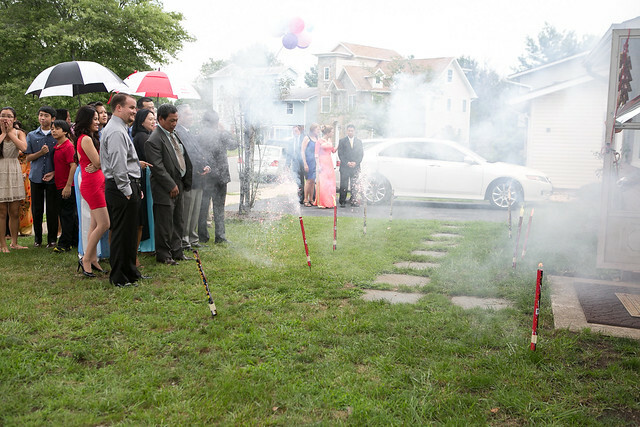 Looks like a beautiful ceremony, so full of traditions! I really enjoyed reading all about your special day. Thank u for sharing. Look as though you two started out perfectly. Best wishes! Thank you! We’ve been extremely blessed with our families and wonderful celebrations to start our life together! Hi back! Thanks so much for visiting – it was such a challenge for me to determine solutions for the very same challenges you are having. Are you doing the traditional “pick you up at your parents house before going back to his”? If so, that makes it a bit easier. At that stage, our families are meeting for the “first” time and as tradition dictates, his family stated their intention for their son to ask for my hand in/state their intention for marriage. They brought little gifts for my parents which they sat on the table (fruit, alcohol, tobacco, meat are tradition, apparently) and flowers for me. Since we started the day early, my family made coffee, tea and such, and I insisted on a Mimosa Bar 🙂 We also prepared light snacks since the big meal would be at his home following the formal ceremony. This kept our families busy and refreshed while my fiancé and I went outside for some photos. Hi! Thank you so much for this post (and comments below.) 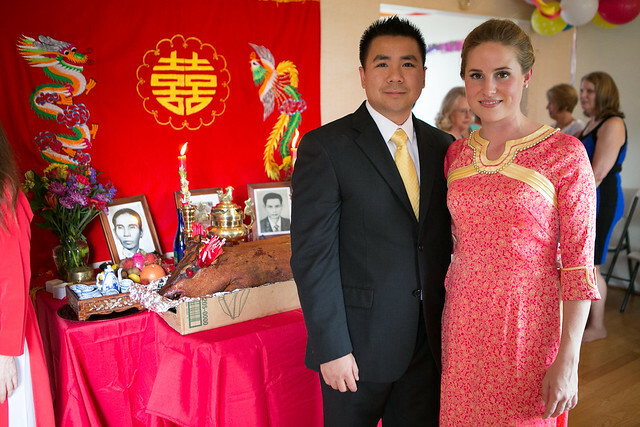 I’m marrying a Vietnamese-American man (also in your neck of the woods) in Oct 2016. 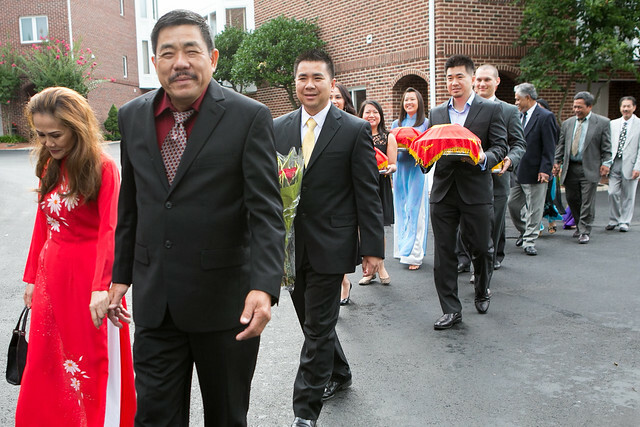 May I ask where you got your ao dai? Thanks! Congrats! 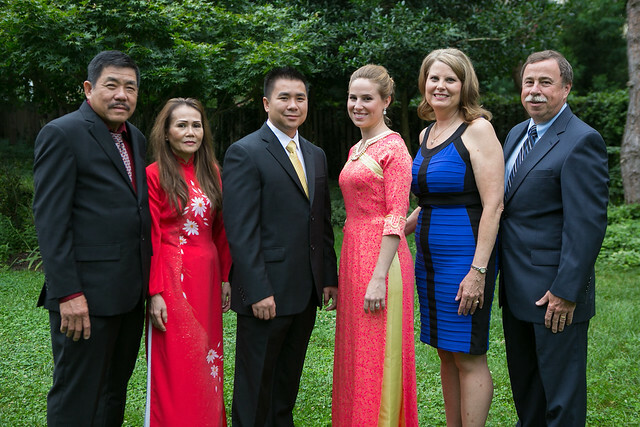 Very exciting 🙂 I had the ao dai made in Vietnam through family that is still in Saigon but the style from Thai Tuan – I have a bunch of pinned ao dai on this Pinterest board http://pin.it/xDcRjfA. Good luck! There is a Vietnamese shopping center near my home that had everything we needed that the family didn’t already have. 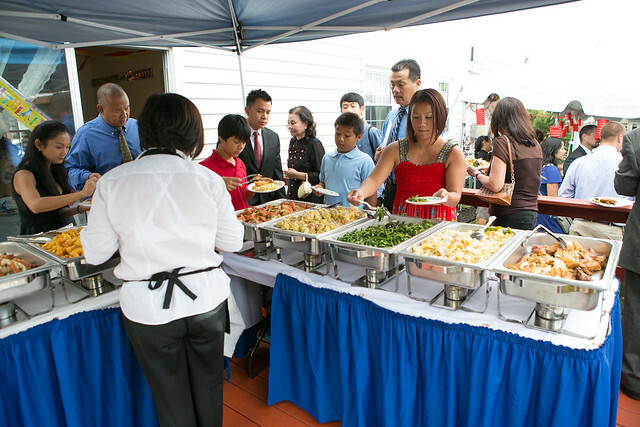 I believe we rented the large banner and red trays from a Chinese/Vietnamese restaurant/shop that hosts similar events. May i ask where in Philly did you go to get all the wedding supply you mentioned above? Thanks. Thanks for blogging! This is very cool.